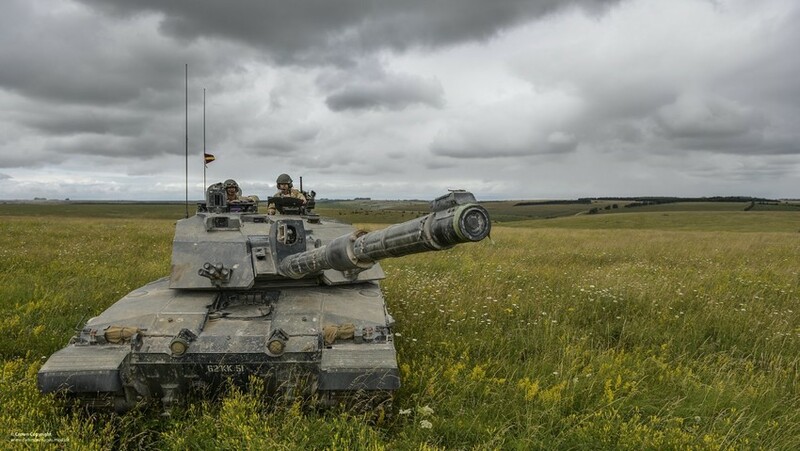 New thermal imaging technology is being offered to the British Army as part of Team Challenger 2’s bid to upgrade its main battle tank. The technology, developed by Leonardo in the UK, forms part of the BAE Systems-led bid to upgrade the tank and would for the first time bring independent night vision for both the gunner and the commander. Also known as electro-optic technology, the thermal imaging system will help British troops identify potential threats and move undetected in hostile situations, while also shaving valuable seconds off reaction times, which can make the difference between mission success and failure. Instead of sensing light like a standard digital camera, Leonardo’s infrared camera senses heat emitted by all objects with temperatures greater than absolute zero (-273°C). The hundreds-of-thousands of individual pixels in the camera, each one-twelfth the thickness of a human hair, can detect temperature differences as small as one-fiftieth of a centigrade, allowing for extremely sharp images. Simon Jackson, Campaign leader for Team Challenger 2 at BAE Systems said: “Sighting is a vital element of a battle tank’s role and Leonardo’s sight will provide our troops with unparalleled 24-hour night-and-day visibility, giving them a long-range threat identification system that really makes the most of the tank’s firepower.” Mike Gilbert, SVP Optronics Systems UK at Leonardo, added: “Our thermal cameras can ‘see’ in total darkness as far as the horizon, and the applications for this technology are endless – from helping improve our understanding of the natural world to improving the operational capabilities of the British Army’s Challenger 2 Main Battle Tank. “Our infra-red technology plays a crucial role in supporting British troops in the most challenging environments and we’re pleased to be working alongside BAE Systems to offer this technology for Challenger 2, helping extend its life to 2035 and beyond.” The technology is already proven on other military platforms – such as the Royal Navy’s Queen Elizabeth Aircraft Carrier and the Royal Air Force’s Chinook fleet – but has wider applications, including being used by leading broadcasters to capture some of the most difficult shots possible for television. In David Attenborough’s Planet Earth II documentary, cameras equipped with Leonardo’s technology allowed the filmmakers to capture the most detailed film ever seen of a leopard’s nocturnal hunt, down to the movement of individual hairs on its body. While in the fast-paced world of sport, the Hot Spot system used in international cricket incorporates Leonardo’s thermal imaging technology, helping umpires see whether a ball has struck the batsman, pad or ball, by looking for a temperature change caused by the friction of impact. From a military standpoint, the thermal imaging system was previously used in Afghanistan to allow Chinook Helicopters to fly undetected through mountain valleys, even in poor weather conditions. It also brought the ability to detect, recognise and identify coalition troops or vehicles at a safe standoff range prior to entry into drop or landing zones.